Click on the name of the golf course or hotel to see it on the map. We loved Falcon Ridge. It was our first round of four in mesquite. Although Wolf Creek gets all the accolades, I feel Falcon is right up there. The one big thing they have over the Wolf is great GPS systems. Only one we found. If you have played Falcon Ridge Golf Course, we would like to hear from you. one of the most picturesque golf venues in all of Nevada. Northeast of Las Vegas off of I-15. 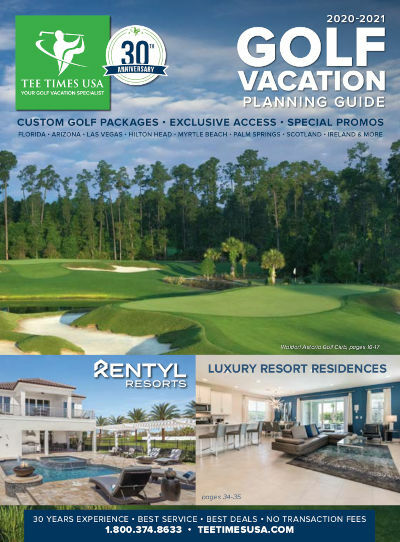 132-page Golf Vacation Planner, featuring our Top Golf Travel Destinations including Florida, Arizona, Las Vegas, Hilton Head, Palm Springs, Myrtle Beach.